The Globalisation of Plant Variety Protection: Are Developing Countries Still Policy Takers? 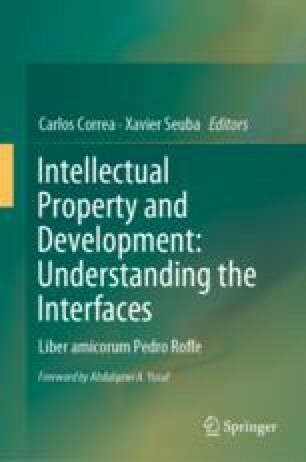 Until recently, for developing and emerging economies intellectual property policy taking was the norm rather than policy making. What we mean is that the developed countries set the standards for other countries to follow. This may still be the general trend but developing nations are starting to devise their own policy approaches that other countries are imitating. This shift towards policy making is certainly noticeable. But it is not yet hugely significant. Conformity to the recommendations (and still in some cases the dictates) of developed countries, their industries, and experts from the Global North remains very common. The question arises of whether developing countries continue to be policy takers or have begun to develop their own counter-norms which are viable. As we will see there is evidence that some developing countries are indeed “translating” international obligations in some imaginative ways that may (or may not) promote their interests better. It may be that divergences between Europe and the United States in how innovations in plant science and agricultural biotechnology are protected inadvertently encourages the adoption of more flexible perspectives than would otherwise have been envisaged. However, there are massive policy challenges ahead especially due to the lack of empirical evidence on the effects of different intellectual property rules concerning plants on rural development and food security that could be used to shape law and policy. This goes far in explaining why only a handful of countries has sought alternative approaches. Further research is desperately needed. Professor of International Governance, University of Leeds, UK.